Posted in: Radio Control, Serpent. Tagged: Racing, RC. 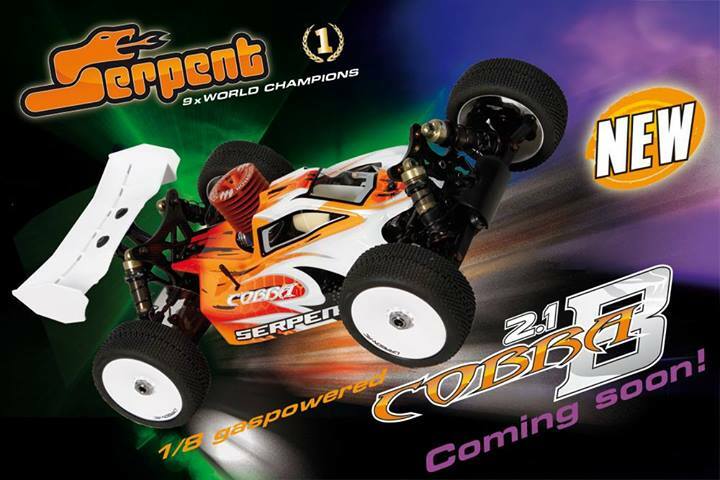 Serpent has plans to reveal a new 1/8 Cobra 2.1 Buggy kit gas powered vehicle for the 2014 season. The kit will begin shipping on April 4, 2014. Serpent promises more details in the coming days, but have provided us with this teaser in the meantime. Seems like a neat way to build anticipation, shipping a product with no details.